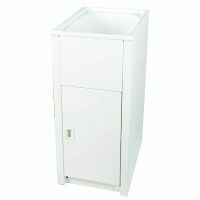 Ease up your laundry duties with the powerful Bloom Laundry Cabinet & Sink offered by Everhard Industries. 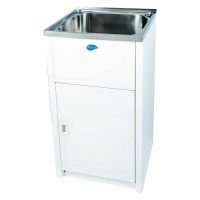 Manufactured out of 50mm polymarble bench, this cabinet and sink combo features a 45L bowl capacity and is more than capable of handling all your cleaning duties. Everhard offers the Bloom Laundry Cabinet & Sink in a choice of glossy white or dark oak finishes. It is also available in right or left hand configurations, with or without a tap hole. The Bloom Laundry Cabinet & Sink is constructed using moisture resistant HMR board which will not rot even after substantial years of usage. The unit also includes a 90mm basket waste and a built-in overflow. 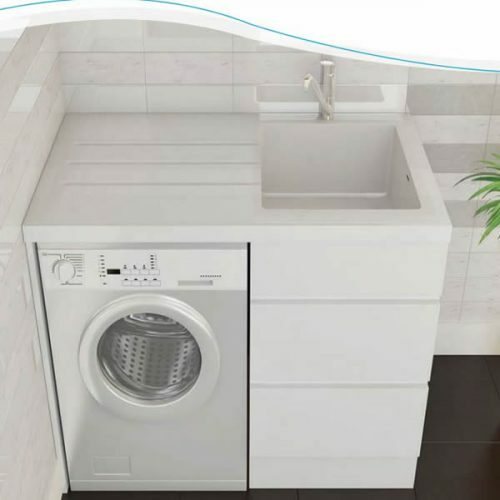 Featuring a height of 940mm and a width of 1200mm, it is large enough to accommodate front loading washing machines of standard sizes. Other highlights include two spacious drawers, with the top drawer featuring a cut out for a 50mm S&P trap. 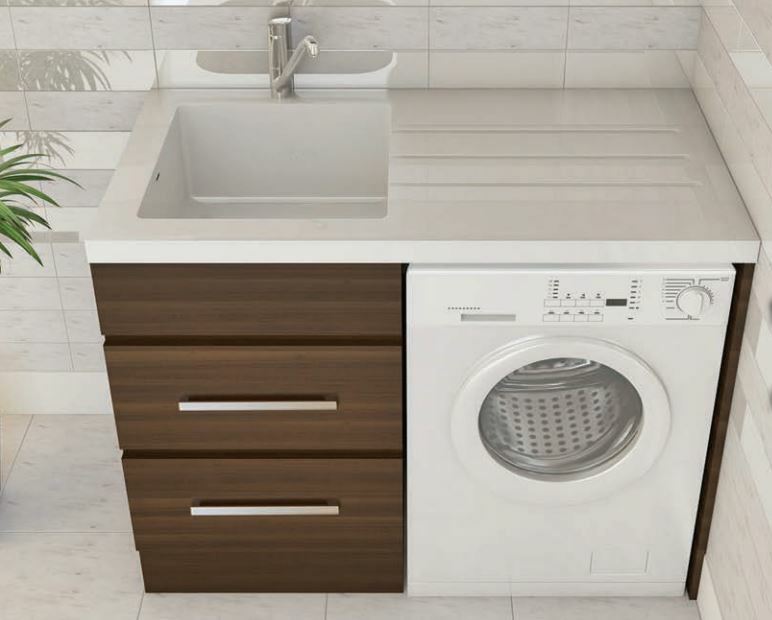 Everhard backs the Bloom Laundry Cabinet & Sink with a 5-year warranty on the polymarble top and the cabinet, and a 1-year warranty on the waste and plugs. 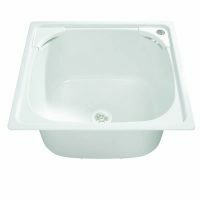 The Bloom Laundry Cabinet & Sink is currently featured on Ross’s Discount Home Centre at the lowest price in the market. So what are you waiting for? Buy this impressive laundry unit for your home today!